I absolutely loved The Last Jedi. I saw it three times in the theater, recently purchased it on digital download and I’m going to buy it on Blu-ray next week. 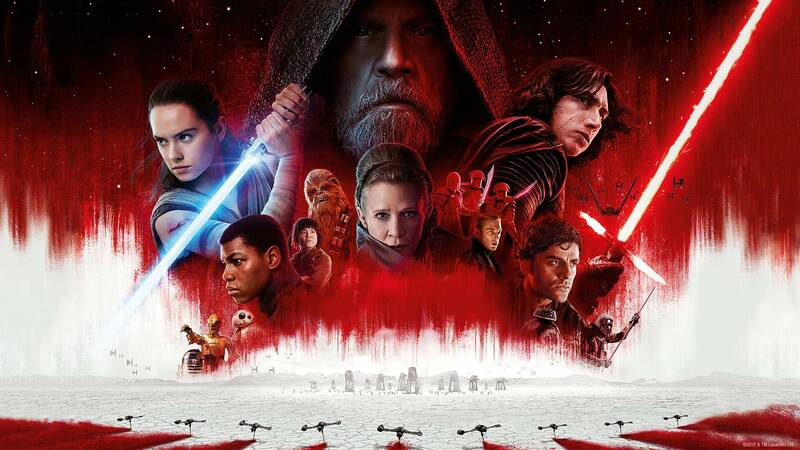 I listened to the audiobook of The Last Jedi, which expands the film’s narrative. I didn’t like it, and you can click here to read my review. One thing that listening to the audiobook did cement was my stance on the film’s most divisive moments. I completely understand why some people are disappointed with the finished product. However, two years of rampant fan speculation and there are still unanswered questions. Let’s discuss the most divisive moments of Star Wars: The Last Jedi. -Why Didn’t Admiral Holdo tell Poe her plan? This is a fair question, but one that requires some dissection. We, the audience have spent two films getting to know Poe Dameron. We know he’s a trustworthy guy. However, Admiral Holdo didn’t know that. She is right to keep someone who was just demoted on a need to know basis. What happened when Poe wasn’t let in on the plan? He sent Finn and Rose to Canto Bight. What did Poe do once he learned of Holdo’s escape plan? He staged a mutiny. Not only was Holdo right not to trust Poe, but if The First Order was successful in destroying all of the Resistance transports before they landed on Crait, courtesy of the Intel DJ gave them, it all would have been Poe’s fault for sending Finn and Rose out to retrieve a hacker in the first place. It turns out that Snoke was just a plot device to elevate Kylo Ren from second banana to the big bad of the sequel trilogy. 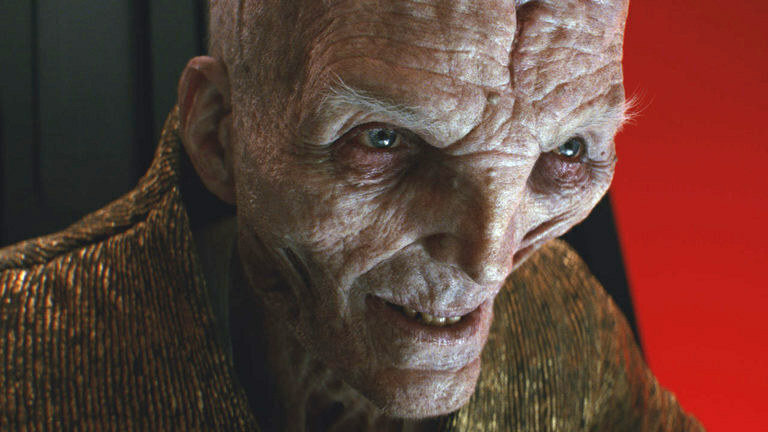 There will probably be a book that will reveal everything we want to know about Snoke in due time. Still, we should have learned more about him in the film due to one bit of information we learned. Luke Skywalker stated that it was Snoke turned Ben Solo to the dark side. If Ben’s heart was naturally dark and Snoke merely influenced him, then yeah, chop him in half all-day long. That is not what happened, though. Snoke is straight up responsible Ben Solo trading in his Jedi threads for his granddaddy’s tribute garb. Snoke’s origin story is not important, but how he infiltrated the Skywalker family is extremely is of extreme significance. How did Snoke turn Ben Solo to the dark side? Was he present during Ben’s Jedi training? Did Luke know who Snoke was before, during, or after Ben was turned to the dark side? Ultimately, a risky creative decision was made. Kylo learned he was a pawn in Snoke’s game and killed him for it. Now, Adam Driver’s Kylo Ren is the ultimate evil in the galaxy. This is an exciting proposition to see unfold and Snoke needed to be sacrificed for Kylo to accomplish what Vader never could. This is another instance where it’s easy to understand why there is so much vitriol towards Rey’s parents being no one of consequence. Again, the reveal was a question that JJ Abrams asked in The Force Awakens that captivated causal fans and diehard fans alike. Rey’s parents being junkers who are buried in a pauper’s grave on Jakku gives Rey more of an identity as her own person as opposed to being related to a legacy character. Do you how much backstory Lucasfilm would have to create if Rey was related to Obi-Wan Kenobi or Luke Skywalker? Structuring a story to make it all fit correctly in the timeline would be way too daunting of a task. Plus, the first film is called THE FORCE AWAKENS. 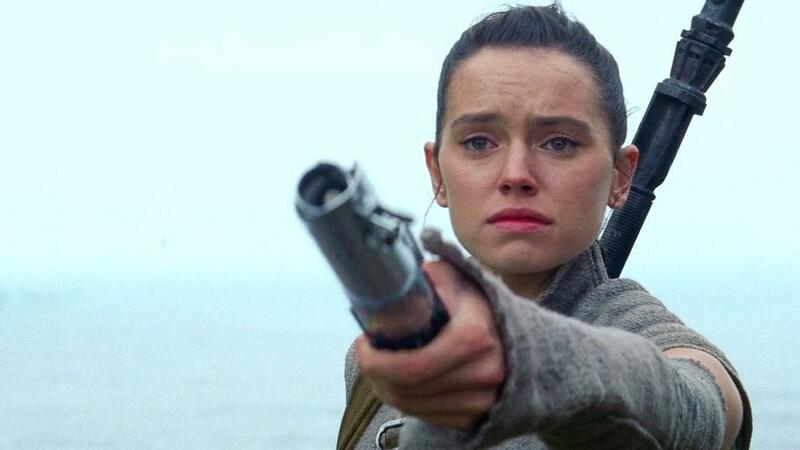 It’s evident that the force chose Rey, which is why she is super powerful minus the formal Jedi training. The dismissive way Kylo Ren revealed Rey’s parentage leaves it open to interpretation because he might have been lying. Remember, a lot of people thought Darth Vader was fibbing about being Luke’s father until Yoda confirmed it on his deathbed. This plot point could be going in reverse from the original trilogy if JJ decides to retcon this aspect of Johnson’s story in Episode 9. Broom kid’s use of the Force at the end of The Last Jedi strengthens the point that one doesn’t have to have Skywalker blood running through their veins to be a Jedi. I didn’t know what to think about this when I first saw it. Fans always wondered if Leia had Force powers and if she would ever use them. We got our answer, just not in the way that anyone expected. Leia calling to her connection to the Force, in the vacuum of space, came off as instinctual desperation, before she went up, up and away. In the end, Episode VIII did Leia’s character great justice in her final outing. That is what we should be happy about. Thirty years of speculation, fan fiction, expanded universe books and new canon material built up the legend of a post Return of the Jedi Luke Skywalker. In our minds, he should have been this all-powerful Force wielder who would never cower in the face of danger. Rey was unable to talk Luke out of his self-imposed exile. If Luke appeared on Crait, in the flesh, everything that had previously transpired on the island would have been the same formulaic story where the once great warrior comes back for one more fight. The same people who deplore how Luke Skywalker was used in the film would have called it too predictable. Luke Skywalker is a smart guy and doesn’t make decisions lightly. If he says he can’t be what Rey needs her to be, then, we should take him at his word. Watch the scene again where Yoda visits Luke. Luke’s face says it all when he hears some of those infamous words from Empire. “Pass on what you have learned.” It’s a lesson that was lost on Luke following the destruction of his Jedi Academy. Luke got the reminder he needed from the wisest Jedi of all time. However, he had to do it his way, which is why he used Force projection from across the galaxy, knowing it would cost him his life. The execution of it all can be debated all day. One thing that can’t be disputed is that Luke Skywalker went out a hero while exhibiting the most powerful uses of the Force… ever. I’m not telling anyone they’re wrong if they didn’t enjoy The Last Jedi. However, you have to accept it. Why? Because it’s not going anywhere no matter how many petitions and angry worded e-mails are sent Disney’s way. Chew on this for a moment. Despite the popularity of both films, a lot of people criticized The Force Awakens for being too much of a rehash with no new ideas while Rogue One was lauded for not being Star Wars enough. Lucasfilm went all in with new ideas to present in The Last Jedi and what happened? Some love it, and some feel it bastardized the franchise. The original trilogy gave birth to this wonderful universe that we all cherish, but that was a perfect storm that is never coming back. Star Wars in its current form is the norm now. Perhaps, we can heed the words of a great philosopher to enjoy this silly space opera. ‹ Remember When the DX Band Butchered the National Anthem?